Macarons (pron. mah/kah/roh) are delicate French cookies that have taken the western foodie world by storm it seems. You’ll find pictures of these sugary pastries littered all over Instagram accounts of the trendy and hip. So here are my token entries for Macaron Day in Toronto. 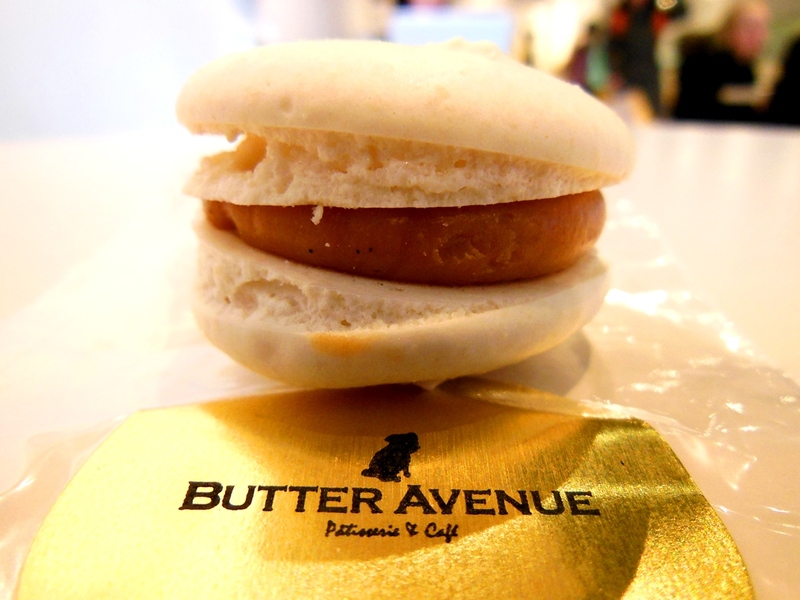 First up on the docket is Butter Avenue which is about a kilometre north of Lawrence Station. Simplistic interior design, this place has a specialization in making macarons and it shows with their plethora of flavour selections to choose from (sorry, no photo). Now macarons are considered a difficult item to master in the kitchen even for experienced bakers and some of the tests for a good macaron are whether the shell is smooth without any cracks and whether the flavour profile of the suggested flavour is distinct and clean. The free sample that Butter Avenue was handing out that day was their salted caramel one and it was quite good. Not too sweet and the flavour of the macaron was very distinct between the sweet caramel and the sea salt undertone. I can see how this place would be fantastic for afternoon tea along Yonge. 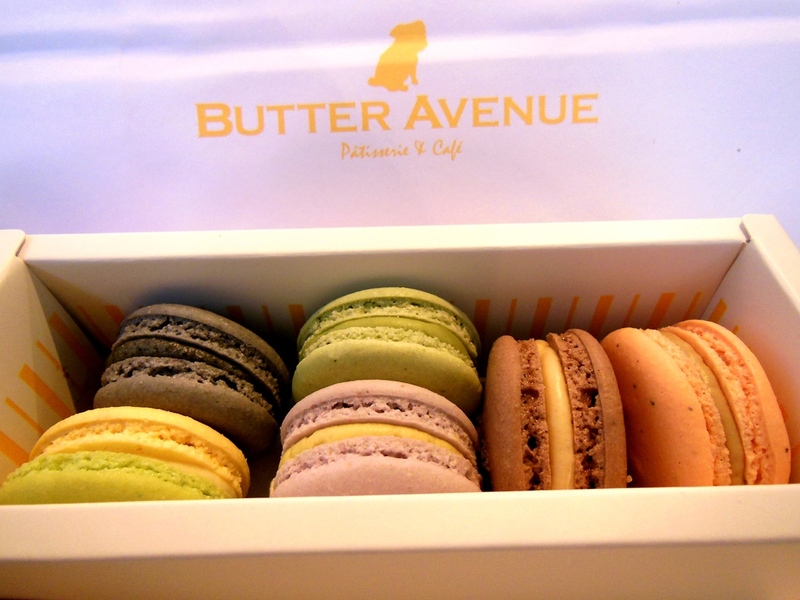 From the looks of my personal network, Butter Avenue is a top recommendation for macarons in Toronto, and has earned my thumbs up.